How would you rate your experience with Uptown Cheapskate ? Uptown Cheapskate was founded by Scott and Chelsea Sloan in 2008. This brother and sister team learned a lot about resale from helping out at their parent’s franchise Kid to Kid. When Chelsea realized that she had some very upscale business clothing that she no longer wore, she decided to open her own store, and later, with some help from her brother, another family franchise, only this one aimed at adult clothing and accessories. 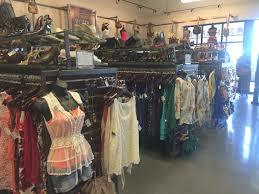 The company buys, sells, trades, and cosigns clothing, shoes, and other gently used items from consumers for resale. Within 8 months, the company was turning a profit and had opened a second location. 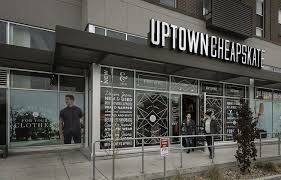 Uptown Cheapskate works for both buyers and sellers in that sellers earn money for clothing that would otherwise simply be taking up space, with buyers receiving quality, name brand clothing for far less than new items cost. Uptown Cheapskate currently has more than 40 locations in 17 states and has headquarters in Salt Lake City, Utah. Question 1: What is the phone number for Uptown Cheapskate? Answer 1: The phone number for Uptown Cheapskate is (801) 359-0071. Question 2: Who is the CEO of Uptown Cheapskate? Answer 2: The CEO of Uptown Cheapskate is Scott Sloan. Question 3: Who founded Uptown Cheapskate? Answer 3: Uptown Cheapskate was founded by Scott and Chelsea Sloan in 2008. Want to make sure Uptown Cheapskate sees your comment or complaint?